Braille Contractions Are They Really So Hard? 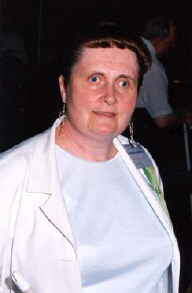 In the October, 2000, Braille Monitor an article appeared entitled "Trends in the Use of Braille Contractions in the United States: Implications for UBC Decisions" by Sally Mangold. Dr. Sally Mangold is a respected teacher and researcher. I have no comment on the UBC. I have not carefully studied it, and I operate on the assumption that Braille readers will adjust to whatever the experts decide to do. If too many experts involve themselves in the argument, the process may never be completed. However, Dr. Mangold discussed much more than the UBC in her article, and I am vitally interested in the instruction of Braille. In the 1990s we have heard increasing discussion about teaching grade I or grade II Braille. Consider the following two quotes from Sally Mangold: "Grade I is being used more with beginning readers of all ages," and "Grade I Braille is used for instruction of newly blinded youth and adults." First of all, why don't we eliminate the terms grade I and grade II Braille? Grade I Braille means uncontracted Braille; grade II means contracted Braille. These terms are clear to everyone, and, while we are talking about change, this would be as useful as any. Long-time Braille users understand Grade I and Grade II, but others do not. The very terms indicate that one somehow must complete grade I in order to be ready for grade II. This is a false assumption and makes Braille seem more daunting than it needs to be. Second, let us not underestimate the ability of blind students‑‑children or adults. Yes, there are many blind children with several disabilities, and their needs must receive individual attention. Yes, contractions seem difficult to sighted people who all read and write uncontracted (grade I) print. Dr. Mangold says that parents and classroom teachers prefer to teach uncontracted Braille because it equates more closely with print. This is true, and we must take that into consideration. However, the most important issue is what will assist more people to learn to use Braille as the wonderfully effective and useful means of reading and writing it should be for the blind. If contracted Braille helps to improve Braille reading speed, it is important. Many Braille readers are very certain that this is the case. Some, however, argue that the truth of this conviction is not well established. So let's do some studies to be sure. My experience is that adults learn to use Braille and to depend on it for personal notes and reading books much more quickly if they learn signsthe more signs the better. In the 1970s I was teaching Braille to adults, and they were becoming bogged down and discouraged before they developed good skill in either reading or writing. We were using the old Illinois Series, three small paper‑bound volumes, to complete the instruction of standard Braille. Adult students were spending most of their time trying to improve their ability to feel the dots. This slowed them down. The books required each student to read an entire page for each letter of the alphabet. The students could learn the new letters by reading far less than a page. We could skip part of the page, but most students were reluctant to do that. My colleague Mabel Nading and I believed that we could speed up the process of learning Braille by introducing signs sooner and in a different order. We succeeded beyond our wildest dreams. Our students had been taking from six months to a year to complete standard Braille, and some never learned the whole system. With our new lessons our students needed from three weeks to six months to complete standard Braille, and very few were unable to learn the entire system. Even those who used jumbo Braille loved the signs. It saved them time and work in writing. They did not need to be experts. If one sign was missed when writing, so be it. Student enthusiasm increased amazingly, as you can imagine. And the ways they used Braille were just as exciting. Now there are several different books available for Braille instruction. Whichever one is used, signs may or may not be regarded as a huge difficulty. Good teachers know that their attitudes about matters such as these have a major influence on the attitudes of their students. My experience with blind children is that they do not regard signs as problems, except in certain individual situations. Alphabetic word signs are simple memory work and easily taught along with each letter: b‑but, c‑can, d‑do, etc. Many other signs consist entirely of letters of the alphabet: fr‑friend, ll‑little, rcv‑receive, cd‑could, etc. These are easy, friendly signs. Students do become confused when learning all the rules for using signs, but these are not required to recognize the contractions. In testing spelling, obviously students use uncontracted Braille. This need not be a problem. I have seen a number of Braille spelling books that show the uncontracted word followed by the same word in its contracted form. If signs are not taught initially, then when and how? Sighted children are taught to write printed letters in kindergarten and first grade. Then in second or third grade they are taught to write cursive. When the whole group learns together, it works. A systematic approach to teaching blind children contractions could also work. However, I have real concern that the same teachers who are not well equipped to teach signs to beginning readers will still not be well equipped to teach signs later on. I have heard other discussions regarding Braille instruction of young blind children. Teachers tend to lament that not enough books are produced without contractions. This is a good argument for teaching contractions early. We do not want to deprive children or adults of a good variety of interesting material to read. As long as the majority of books and magazines are produced in contracted Braille, it is to the advantage of the new reader to learn the contractions as soon as possible. If a teacher who can teach contracted Braille is not available, by all means let the student learn uncontracted Braille. But let us not pretend that this decision does not carry some risk. No matter how young the student, it is a disadvantage for him or her not to be able to pick up other Braille materials and read them. If the reading level is too advanced, a child can still pick out familiar words and phrases. This is an important part of learning to read for some sighted children just as for blind students. I can understand that parents might enjoy spelling out words with their youngsters. There is no harm in this. Let those who are producing books for young children in uncontracted Braille continue to do so. They can serve a purpose. But this does not make contractions bad. In a utopian society parents and teachers would all know standard Braille. We all know that is not going to happen. In the real world it seems to me we must make available as much Braille as possible, the best instruction possible, as much appropriate reading material as possible, and as much moral support from school and family as possible. Since we do not live in utopia, we must do the best we can in the circumstances. But let's not lose sight of what ought to be. And let's not forget about teaching signs to students who start out reading and writing uncontracted Braille. I would be interested in the reactions of other Braille readers and teachers to these issues. Dr. Mangold might also find such reactions interesting. The matter is too important not to address. This is an essential aspect of Braille literacy. How many blind children will have the opportunity to be truly literate and skilled in Braille? * Make a list of everything you want to leave (your estate). * Decide how and to whom you want to leave these assets. * Consult an attorney (one you know or one we can help you find). * Make certain you thoroughly understand your will before you sign it. For more information contact the National Federation of the Blind, Special Gifts, 1800 Johnson Street, Baltimore, Maryland 21230-4998, (410) 659-9314, fax (410) 685-5653.